For three world-famous days in August 1969, 500,000 people spontaneously gathered for a happening like nothing before or since. Peace and love, aromatic smoke and the sounds of the greatest rock n roll show wafted through the air to become the legendary event that’s never been duplicated. Forty years later, Woodstock is still celebrated for the spirit it represents. 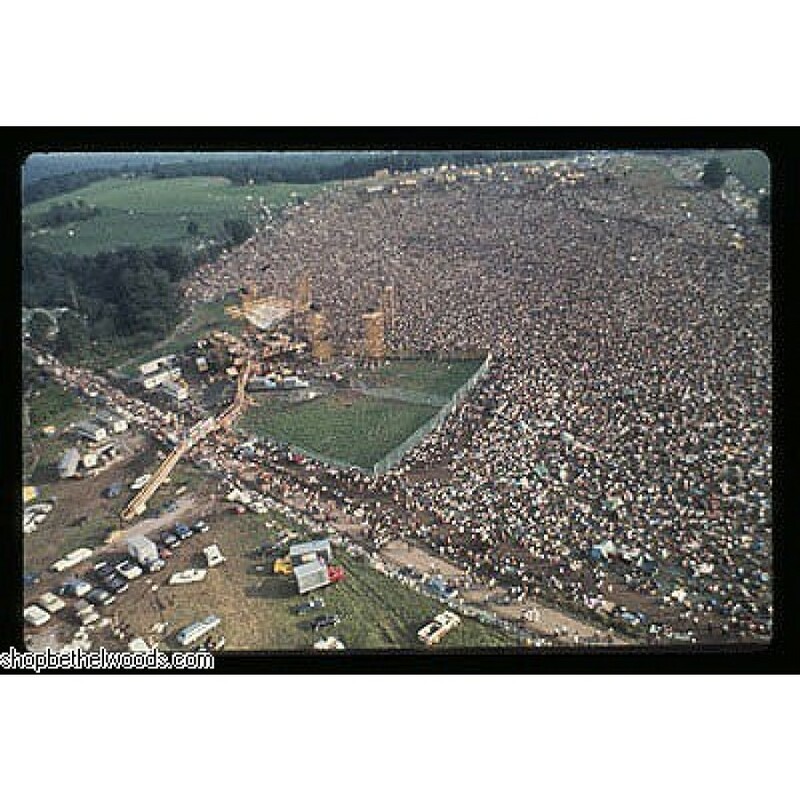 As part of the Academy Award-winning “Woodstock” documentary team, still photographer Barry Z Levine captured it all. Arriving days before the crowd, when the site was still a grassy cow pasture and continuing to photograph long after the last of them had departed, when it had become a debris strew mud hole, Levine took so many pictures that he had blisters on his index finger and thumb from clicking the shutter and advancing the film. Over the course of that tumultuous week, the only time he stopped was for a 45-minute nap on the piano cover on stage during the Blood, Sweat and Tears performance. Poster is unframed and measures 20"x36"